Our free-standing budget cabins are perfect for people travelling at a budget. Each has 1 double bed and 1 single bed. 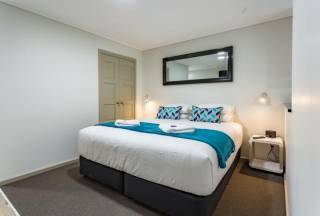 Our Executive Motel Rooms feature a modern design with queen size bed, ensuite, split system reverse cycle air conditioning, tea/coffee making facilities plus kettle toaster and microwave, large LCD television with complimentary Foxtel and Wireless Broadband. With a business desk and private courtyard, our Executive Motel Rooms are the perfect choice for the corporate traveller or a couple just wanting to get away. Set away from the road and amongst landscaped gardens and a central BBQ area, our Self Contained Villas provide a quiet accommodation option and are perfect for shift workers, groups or small families. Our Self Contained Villas feature a spacious open plan design, kitchenette with induction cooktop, ensuite, split system reverse cycle air conditioning, large LCD television with complimentary Foxtel and Wireless Broadband. All of our Self Contained Villas have slightly different floor plans with varying bedding configurations : either 1 queen bed plus a 2-seater sofa-bed or 1 double bed with 1 single bed. Bedding option is subjuect to availability. Our Deluxe Suites have been individually designed to meet the needs of any traveller. Each slightly different in layout and facilities feature a spacious, open plan, modern design with luxurious queen pillow top beds, large ensuite with shower, tea/coffee making facilities with kettle/toaster and microwave, split system reverse cycle air conditioning, large LCD television with complimentary Foxtel and Wireless Broadband. All of our Deluxe Suites are located on the first floor with a private balcony overlooking our entire property. The bedding is 1 queen plus 1 single beds. Our spacious open-area Family Studios are all on the first floor with a big balcony. Each has 1 queen plus 2 single beds inside with a kitchenette incuding sink, microwave, fridge, toast, kettle and cutlery & crockery provided. Our Family Apartments are ideal for your family getaway. With 2 bedrooms, one queen bed in the master bedroom, 2 single beds in the second bedroom & a fold-up bed if requested at an extra cost, they are equipped to comfortably sleep up to 5 persons. Featuring combined lounge and dining area, ensuite, kitchenette with induction cooktop, private courtyard or balcony, split system reverse cycle air conditioning, large LCD television with complimentary Foxtel and Wireless Broadband. 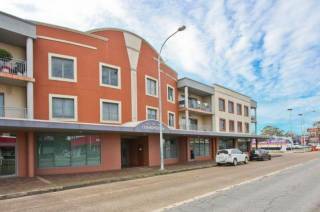 Travellers Motor Village offers 3 1/2 Star, 100% Australian owned and operated motel and self-contained accommodation located in leafy Mayfield, just a short drive from the Newcastle CBD. Our accommodation services are a class above the rest, ensuring that your next journey away is as comfortable and welcoming as your own home. 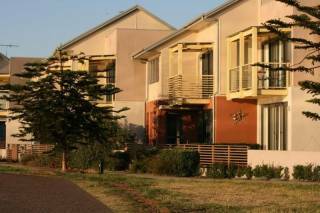 Set amongst landscaped gardens with a number of accommodation options available, the Travellers Motor Village is the ideal choice for any traveler heading to the Newcastle region for any length of stay or just passing through. Our motel is set amongst landscaped gardens with a number of accommodation options available to suit any traveller — from Self Contained Cabins & Villas to Deluxe Rooms with Spa baths. 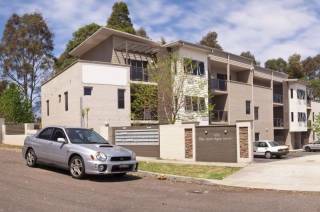 Also available are spacious 2 & 3 bedroom family units which can accommodate up to 6-10 adults. Wireless Broadband – Available in all rooms free of charge. Available in all cabins, charges may apply. Lobby Computer – Available at Reception during normal Reception hours free of charge. Breakfast – A Continental Breakfast is available from Reception at any time. Dinner Chargeback – Available from The Star Buffet located at the Diggers RSL in Mayfield. Parking – Available for all rooms and cabins, off street and free of charge. Guest Laundry – A coin operated washing machine and dryer is available from 8am to 8pm. Charges Apply. With easy access from the Pacific Highway, the New England Highway, and the Sydney/Newcastle Expressway BEST WESTERN Travellers Motor Village is also the ideal choice for those just passing through. 1. Travellers Motor Village is a 100% NON SMOKING property. Any Guest found to be smoking in or near the entrance to their room will incur a penalty of up to $200.00. 2. Charges for any missing items or damage to property will be charged to your credit card or deducted from your bond after Check Out. 3. Charges for any unpaid incidentals will be charged to your nominated credit card after Check Out. 4. Check Out time is 10:00am. A Late Check Out Penalty may be incurred if you vacate your room any later. 5. Please leave your room neat and tidy. A Cleaning Fee may be incurred if you leave your room in an unacceptable state. 6. In the interest of our other Guests, you are asked to keep noise levels to a minimum after 10pm. Any violation of this may result in you being evicted from the property. Bookings cancelled within 48 hours of the arrival time will incur a cancellation fee equal to the first nights accommodation charge. This will be taken from the credit card details provided at the time of booking. Reception is open from 7am to 9pm daily. For arrivals after 9pm please contact reception on 02 4968 1477 to arrange key collection. All Guests are required to provide Photo Identification and a valid Credit Card for all Reservations upon arrival. 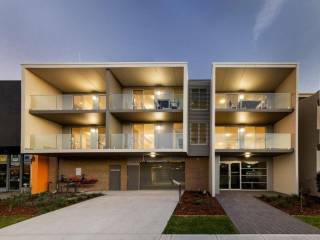 Travellers Motor Village is located at 295 Maitland Rd, Mayfield West NSW 2304.